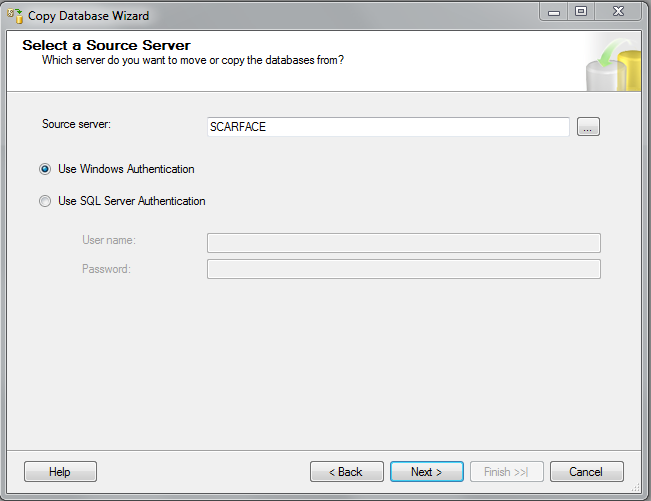 Though it looks redundant, it will ask again for information about Source Database. 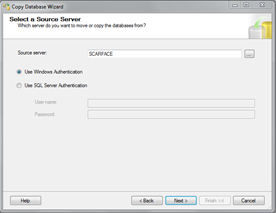 Simply select your source database. 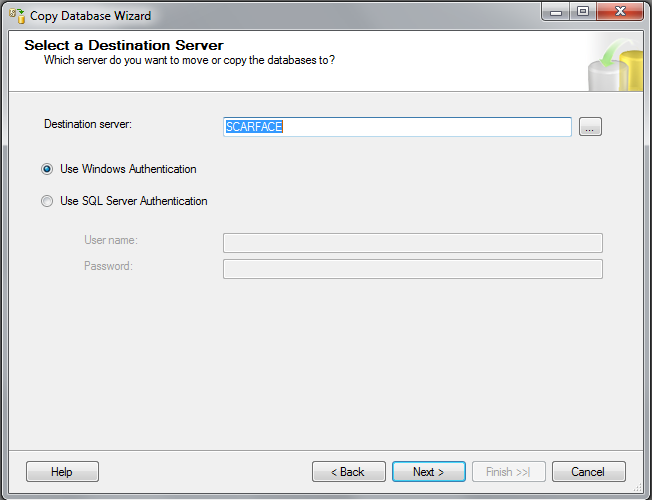 Then it will ask for information about Destination Database. In this case both source and destination are same. Or use SMO method (more programmatic approach) which will keep database available even during this copy process. For this demo, I’ve used Detach/Attach method. 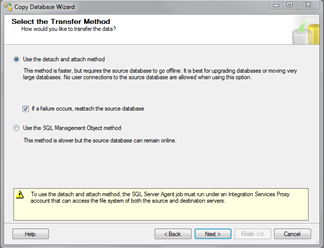 Once this method selected, you will see options about which databases you want to MOVE or COPY !! 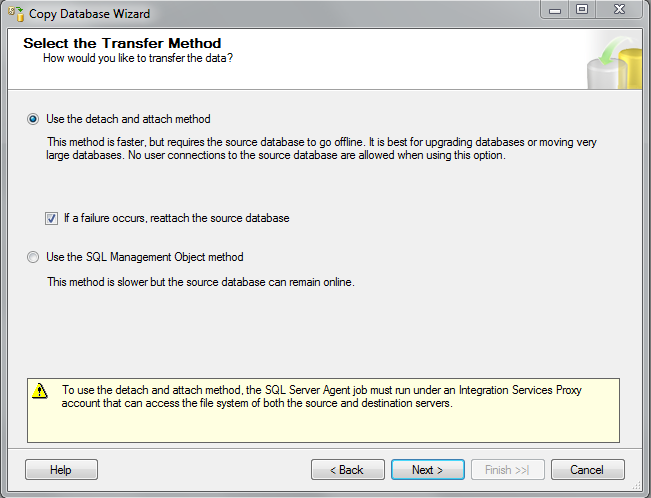 Yes, with this option you can actually MOVE your database as well !! 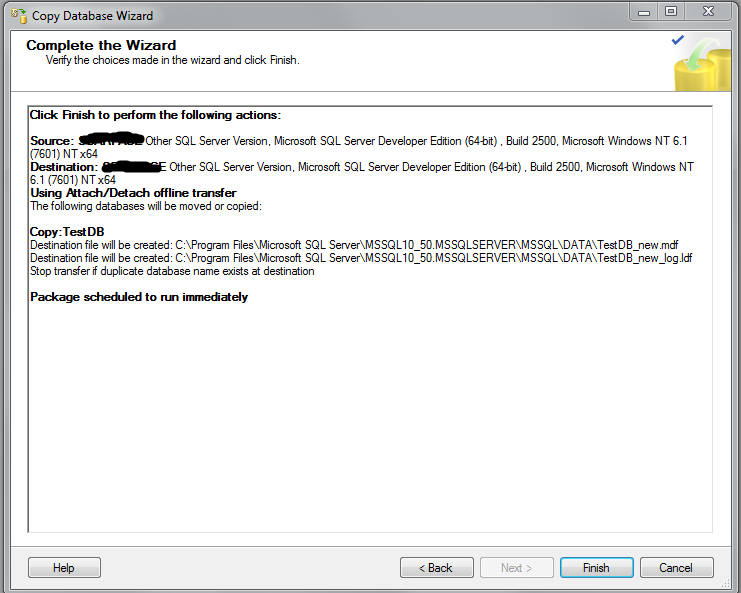 Funny thing is, you will not know that this option exists if you have never used this wizard. 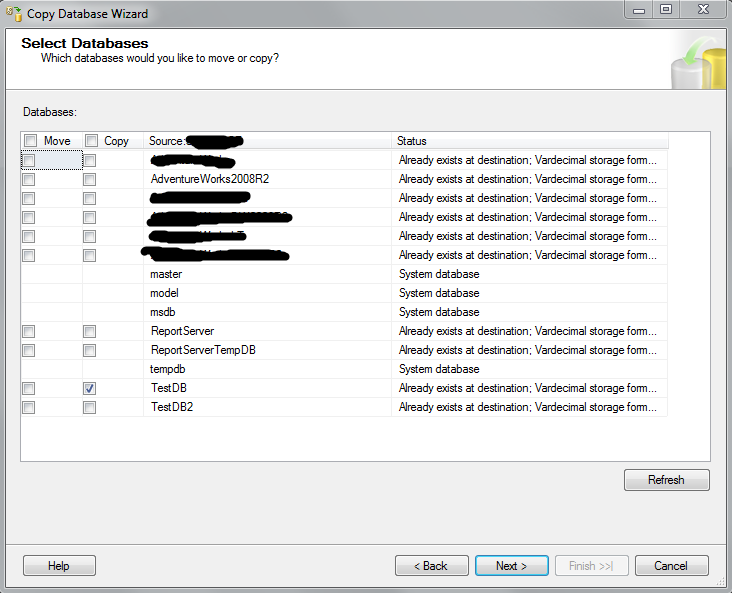 Since I wanted to copy only one DB, I just selected one database from list. And I think this is also redundant option since I’ve already right clicked on DB and selected “Copy Database”, which already indicates that I want to copy selected database, isn’t it ?? Next step is to configure details about new database, e.g. 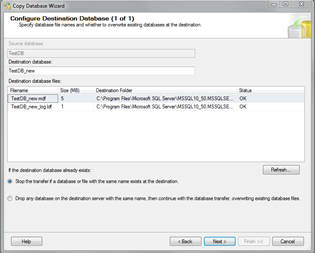 DB name, file name, location, size etc. 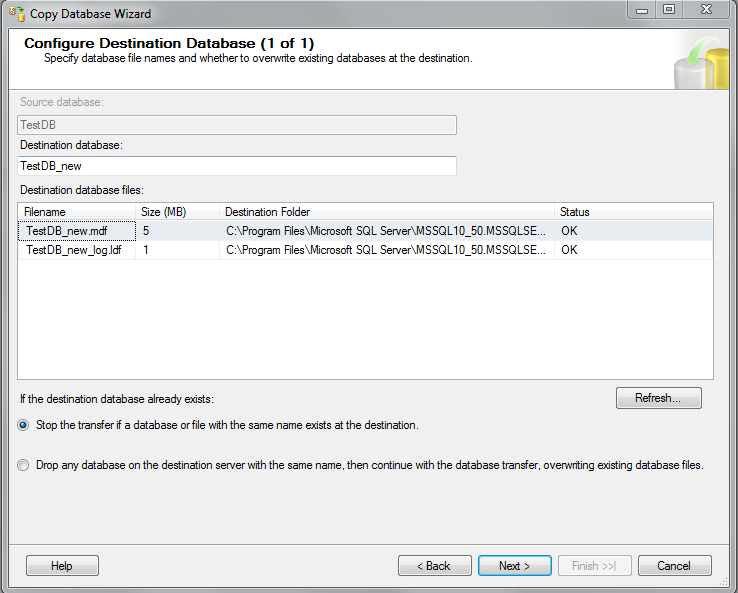 Here you will see two extra option to configure in event of DB with same name exits on destination server. You can either drop existing database or terminate copy database process. 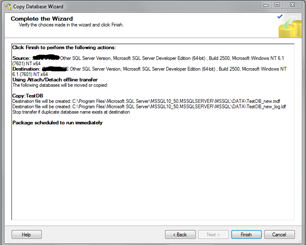 Even though you see this as a wizard, in background it is simply SSIS package based on your inputs. 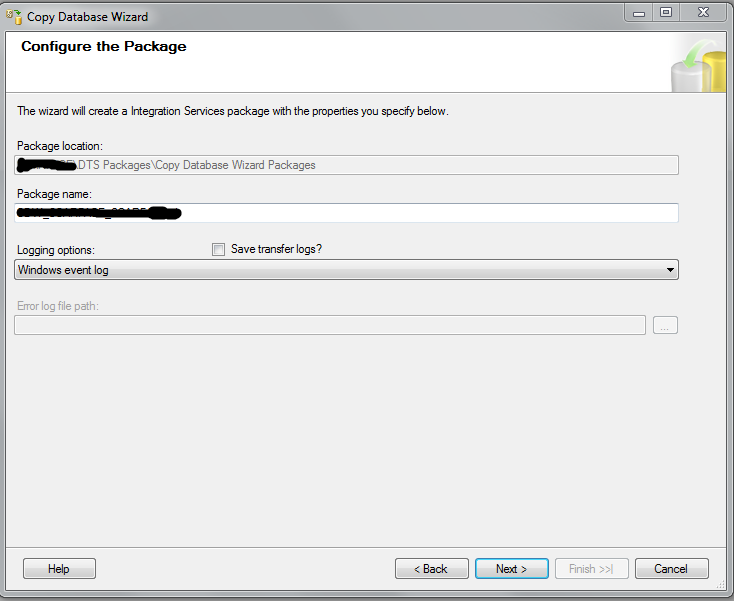 In fact, upon creation this package is deployed to db. 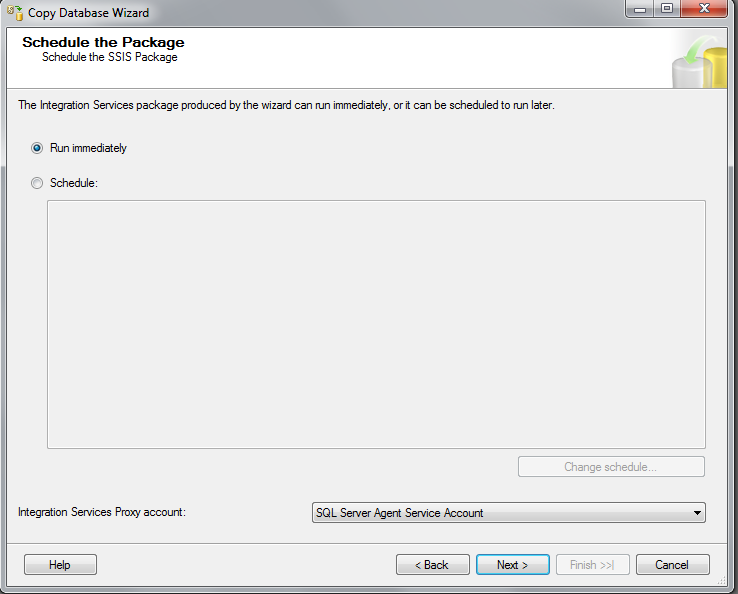 So if you log into integration services of server you will see this package is there in the end. 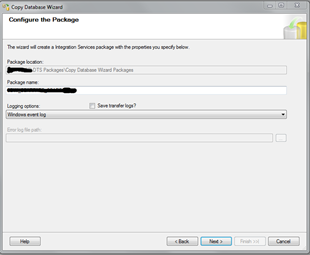 In this step, user can actually change name for package and select logging option for execution of this package. 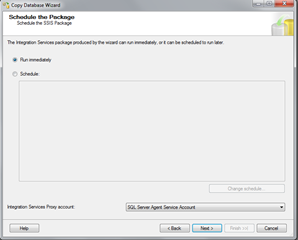 In next step, user can setup schedule for package. I wanted to run it immediately so I choose “Run Immediately”. 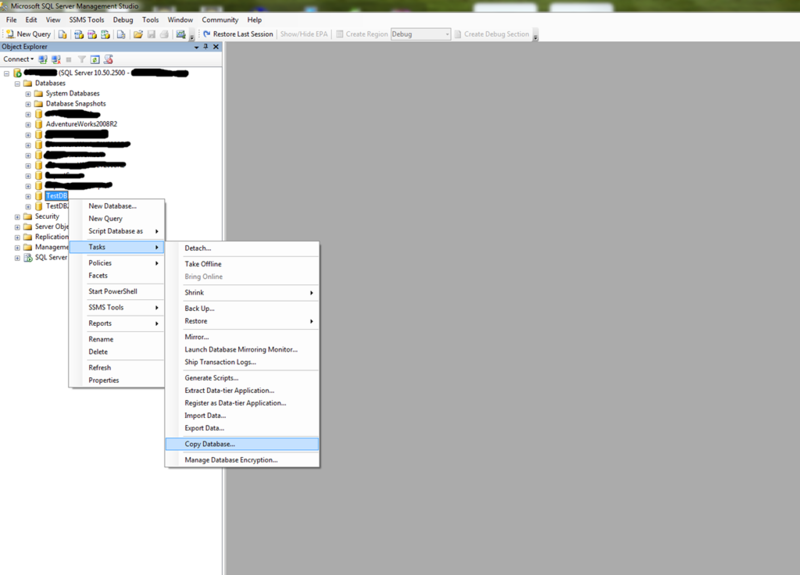 Alternatively, you can select “Schedule” to create a schedule run for this task. 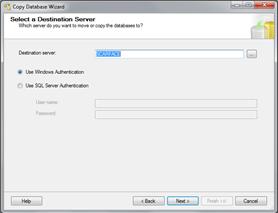 Final screen presents all settings we selected throughout the wizard, once user click on FINISH button, wizard ends and it creates new package to transfer database and deploys it to DB Server. 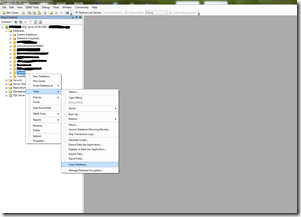 This entry was posted by Gaurang on November 13, 2011 at 6:33 pm, and is filed under How To, SQL Server, SSIS. Follow any responses to this post through RSS 2.0. You can leave a response or trackback from your own site.